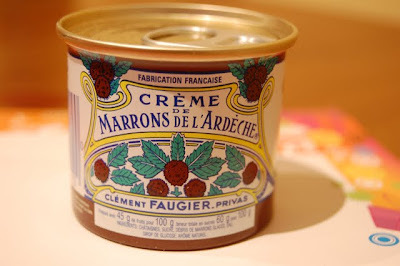 A little piece of France… | eat. live. travel. write. As those of you who read my blog regularly know, I love receiving mail, specifically parcels containing food! That would be why I joined the foodie exchange group. Don’t know what that is? Head on over here and check it out. Don’t be shy – sign up!!! Remember when I received my first package from the foodie exchange all the way from Arizona? Then just before Christmas, Conor’s parcel arrived from Perth, Australia. 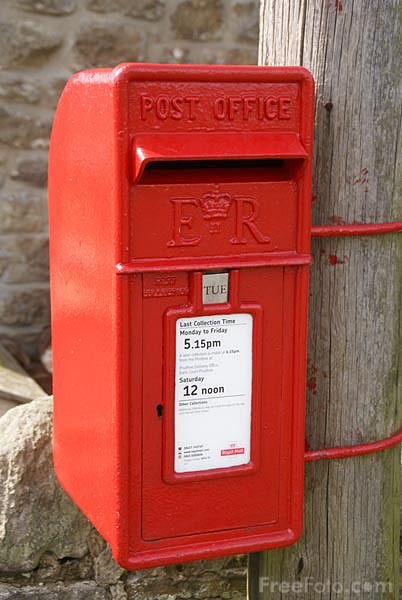 So far, I have sent parcels to Arizona, Perth, Paris, Seattle, Melbourne and Baltimore – it’s so much fun seeing what people come up with to send you! 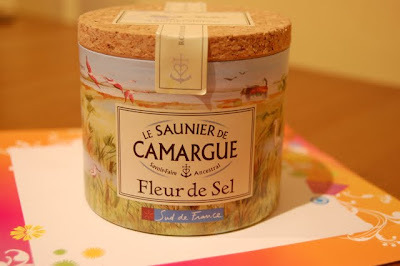 Just last week, a lovely surprise arrived for me all the way from France. It’s from Kristin, a non-blogger (not yet, she says!!) who came across the foodie exchange group and wanted to join too. I don’t know how much Kristin read my blog before she chose her items to send but it’s like she knows me very well. 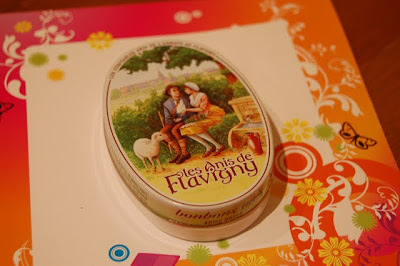 Neil is an avid collector of little tins of mints and was very excited to see these! 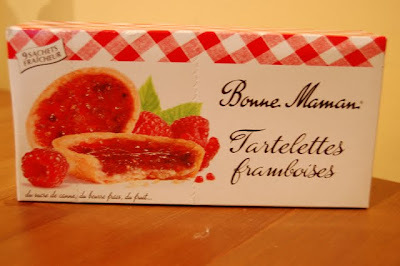 So funny – I nearly bought these at the airport on our way home from France but resisted the temptation. 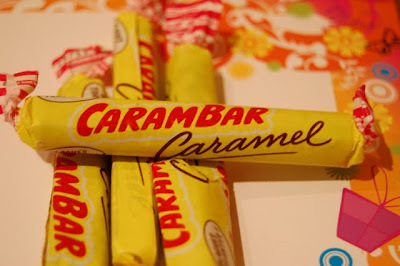 So glad I have some now – will most definitely savour them! 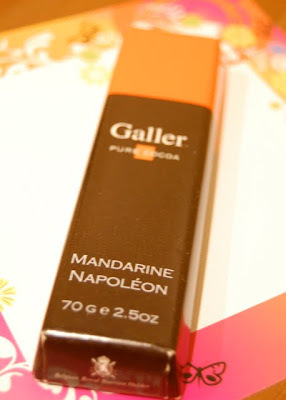 OMG – can I just say that Galler chocolate is amongst one of my favourites and the Mandarine Napoléon flavour = addictive! 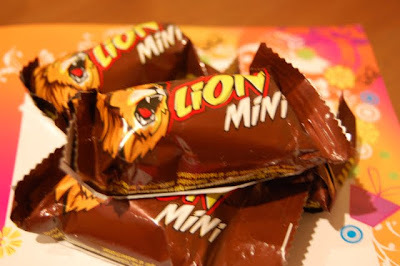 Lion bars and Malabar – so much fun! Whoo-hoo – I can make these petits pots again! Again – I was standing in front of this in the supermarket in Dinan on our final day there wondering whether I would bring some home with me. I didn’t. Very pleased to have some now as I have come across a number of recipes calling for it. 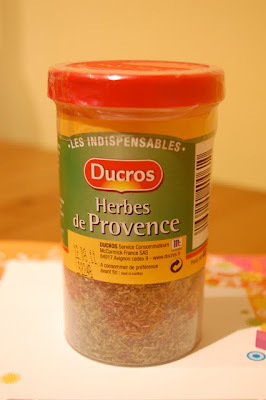 Herbes de Provence so I can make my ratatouille again! This is one of my favourite salts ever. None the least because it has a beautiful package! 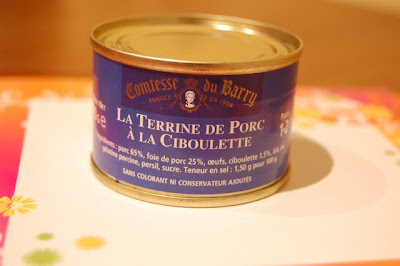 A fabulous little tin of terrine. Again, Neil was excited for this one! 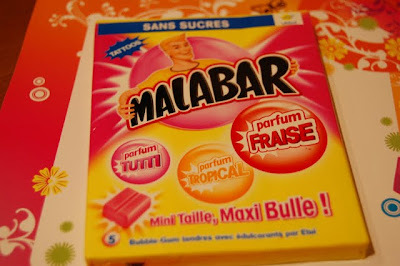 And probably the most exciting ingredient – how DID it make it through customs??? 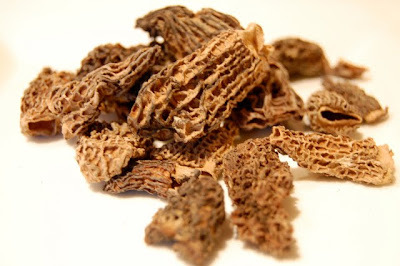 – dried morilles (morels)! When I lived in Paris, I would often go to La Dame Tartine beside the Centre Pompidou for a tartine au poulet/morilles – chicken in a creamy mushroomy sauce. I have already started hunting around for a similar recipe so I can make this dish with these beauties (I am kind of liking this one) – so thanks Kristin! Looking forward already to receiving parcels from Linda in Seattle and Penny in Melbourne! My husband often brings me back tasty treats when he travels. Half the time I don't know what I'm eating (written in Japanese) but do enjoy trying products from different countries. Kristin did such a wonderful job! 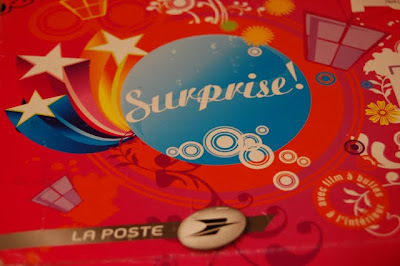 Everything looks great – can't wait for my package from Paris!! Wow! What a fun package…. I will definitely have to look into the foodie exchange group. Sounds like a lot of fun! That looks like a fin exchange. Holy crap, what an incredible package! DRIED MORELS?!?!?!!!! Wow. Trix – but I LOVE novelty stuff!!!! Surprise me! Tasty Eats – isn't it fun? Unplanned – that's the best part sometimes, not knowing what you are eating! Kelly – you should join – you could send us all some of your fabulous cupcakes! high low – I hear you sent a GREAT parcel to Kristin too! Fuji Mama – small world indeed! Jen – you need to look into this for sure! Erika – yes it was. Carolyn – it is a great homecoming to come home to boxes like this! Conor – You're in the foodie exchange too, right? But I guess the Aussie customs might claim the morels for themselves – would be VERY surprised if they made it through customs! That's amazing!! I would like to join the group as well! Wow, that is an incredible package loaded with goodies! Juls – you should – we would love to have you! 5 Star – it's so much fun getting snail mail parcels like this! Can't wait to see what you make with all of these goodies! My Man's Belly – well yes, some of them have been – ahem – eaten already! but I am definitely looking forward to using the morilles and the chestnut and pork patés..